One of the main consequences of Quantitative Easing (QE), which many folk are unaware of, is the magnitude of cheap money that has been used to fund corporate share buybacks. From 2007 to 2018 S & P 500 companies have ploughed nearly 6 trillion dollars into such activity. In the main, these companies have borrowed heavily to do so. In my opinion this short sighted policy is suicidal and could potentially lead to severe deflation in the next recession. Let me explain. Under QE interest rates were artificially low, in fact near zero. The new FED chairman “Jay” Powell has indicated that its policy going forward is to raise rates to a “neutral” level of approx 3%. 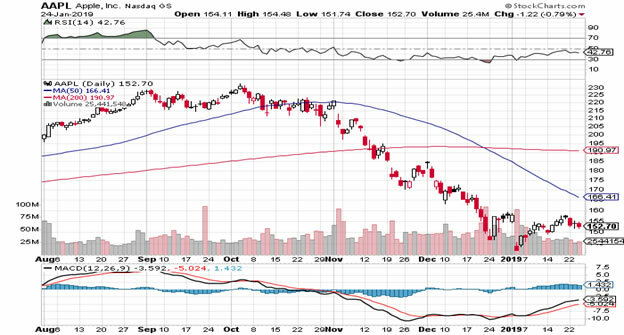 This will have a major negative draw on corporate profits and will contribute greatly to economic contraction. 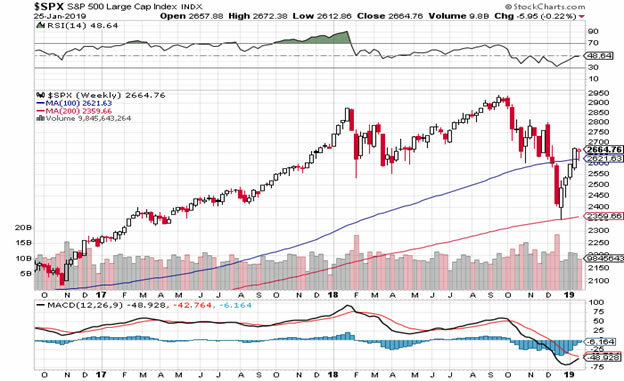 Given the run up in share prices that we have experienced since this bull market commenced in March 2009, it is readily accepted that the S & P 500 could fall by at least 50% when the inevitable recession eventually materializes. This means that corporate balance sheets are going to take trillions of dollars of losses on these share buybacks. 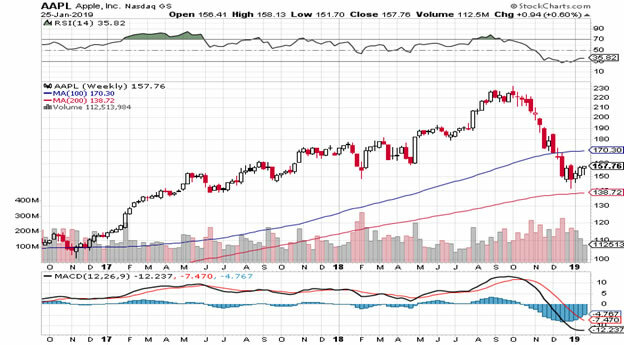 For example given the near halving of Apple’s share price since October 2018 the company is now nursing a 9 billion dollar share buyback loss. What a fiasco in corporate governance. “When share repurchases increase debt and reduce spending on innovation and R&D it directly affects a firm’s long-term ability to survive and grow in a disruptive and uncertain business environment. Meanwhile, the question arises: What happens to the money that is "returned" to shareholders by share buybacks? Economic theorists suppose that this money will be re-invested in more promising opportunities. What seems certain is that much of the money will be ploughed into ever-riskier investments in the search for even higher returns. We suspect that much of the money spent on buybacks by established "mature" companies has created a stock market bubble in FAANG stocks (and others) where conventional PE ratios no longer restrain investors in search of growth”. “Stock buybacks are a relatively new phenomenon in the U.S. They were only legalized in 1982, when President Ronald Reagan’s newly appointed Chairman of the Securities and Exchange Commission (SEC), John S.R. Shad "re‐interpreted" banking legislation from 1933 that prohibited firms from purchasing their own shares in the stock market. At first, the money spent buying back shares was negligible, but by 2000, 38 percent of the earnings of large U.S. companies was spent on buybacks and dividends. This steadily increased to 79 percent in 2011, before soaring to 110 percent in 2015; fuelled by demand for ever higher quarterly earnings per share and so‐called “activist” investors”. Through the folly of share buybacks Corporate America has shown incredibly short sightedness. Its investment in infrastructure, plant, research and development and human resources has fallen behind that of corporate Europe, Japan, India and China. I believe the next recession could be where the tide will go out on American Corporate dominance. Stressed banks will push debt strapped companies into bankruptcy as they panic to liquidate junk rated debt from their depleted balance sheets. Under such circumstances I would not be surprised to see scores of S & P 500 companies brought into private hands, as they are hovered up at fire sale prices. In such an event America CEOs will only have themselves to blame. As the well-known historian Toynbee explained in his classic “A Study of History”; “Civilizations do not by by murder, they die by suicide”. I fear Corporate America has failed to learn this lesson and will pay dearly for their buyback folly over the next decade. The Dow Industrial Index is at a critical juncture. It is not sure if it is in a bear or a bull market. How it moves from here is crucial. 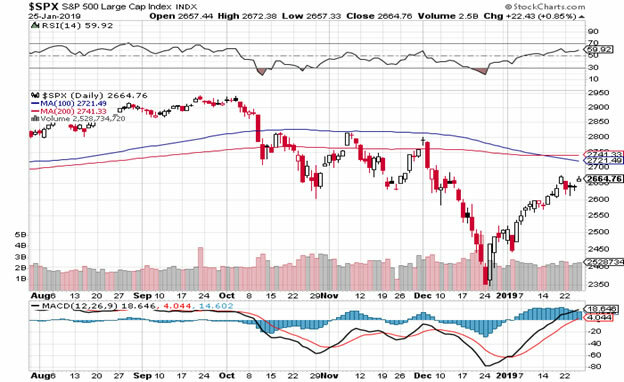 It is currently consolidating between the 100/200 Daily Moving Averages (DMA). The longer this lasts the more significant the eventual breakout or breakdown will be on future market momentum. 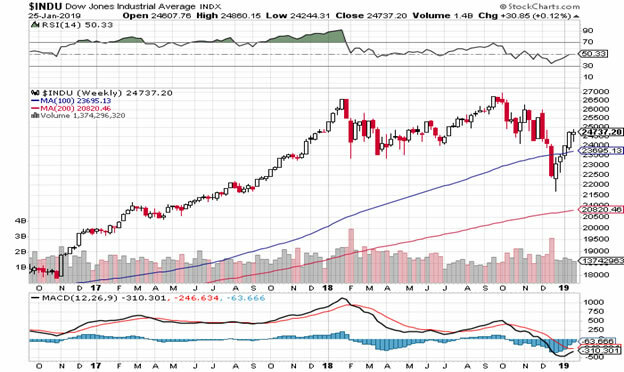 The descending trend line (red line on our Dow Industrial Index daily chart below) is presenting resistance and needs to be broken through to the upside resolutely to give any possibility of previous highs being breached. However, the Chinese economy is slowing fast. Germany is almost in recession (two back to back quarters of negative growth). Consequently Apple’s stock price has nearly halved since November 2018. If this slowdown morphs across all Europe and America it is quite probable that the overall stock market will quickly go the way of Apple. That would be ugly, particularly given the indebtedness of American companies and the near junk status of their corporate bonds. Chart: Dow Industrial Index: Daily. Chart: Dow Industrial Index: Weekly. Chart: S & P 500: Weekly. Ref: Robert Ayres & Michael Olenick, INESAD, September 7th 2017.